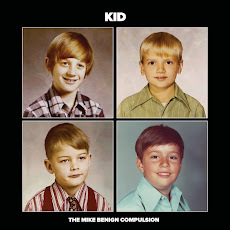 The Mike Benign Compulsion: Introducing the new single, "Haley Daley"
Introducing the new single, "Haley Daley"
"Haley Daley" is the first full track from The Mike Benign Compulsion's "Here's How It Works" album, officially out March 8th. And it may be the best $.99 you'll spend today. Download your copy of "Haley Daley" on iTunes, Amazon, CD Baby or Bandcamp. Bandcamp is particularly nice because you can preview the entire song before you buy. Coming soon: the premier of the video for "Haley Daley." Watch this space for further info.